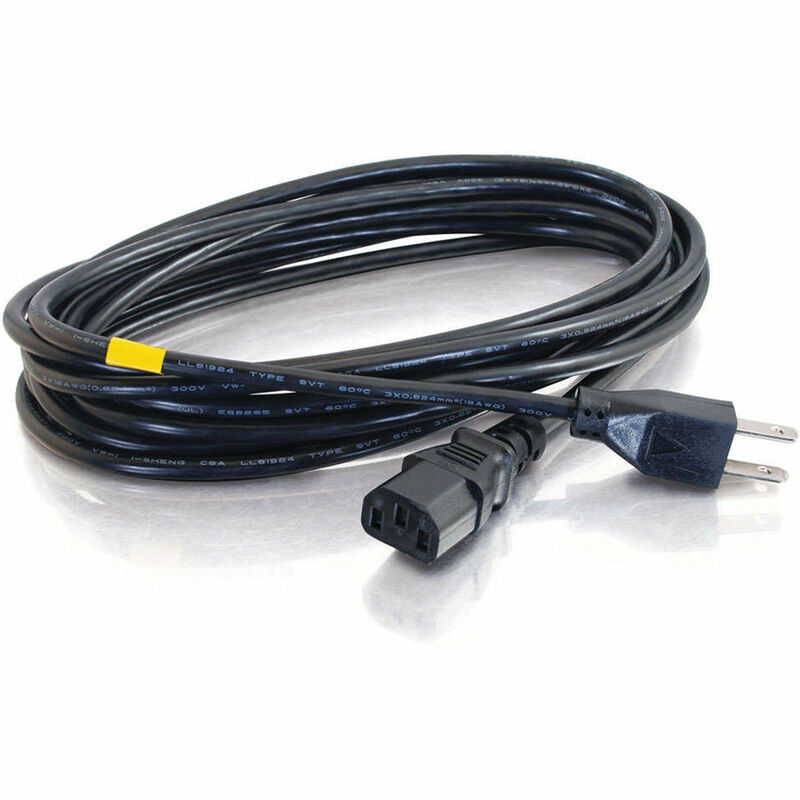 The C2G 14 AWG Premium Universal Power Cord (6') is a grounded power cord that will work with most PCs, scanners, printers, monitors, and other electronic devices that require a 3-pin shroud power connector. The cord is made of heavy duty 14-gauge wire with a fully molded design to ensure durability over time. Box Dimensions (LxWxH) 9.5 x 4.9 x 1.7"
14 AWG Premium Universal Power Cord (6') is rated 5.0 out of 5 by 5. Rated 5 out of 5 by Atypical John from Solid Product A tough product, can't imagine how it will wear out before my PC does. Rated 5 out of 5 by BabyDee from Worked Like a Charm Product was completely compatible with my Protron TV. Rated 5 out of 5 by StevePhy from EXACTLY what I wanted! I needed a 15 amp cable for a surge protector/power conditioner for my plasma t.v. It's the perfect length and ratings. Rated 5 out of 5 by Jim the Acewrench from Excellent Power Cord! Excellent well made product! Rated 5 out of 5 by Clint from Good for laser printer I lost the power cable to my laser printer during a recent move. I went to the local computer shop to buy a replacement. It was a big mistake. The gauge was too small, and it almost caught on fire during a heavy printing session. I found this cable here. It is much heavier duty and is able to handle this light-dimming laser printer of mine. This time I made the right decision.